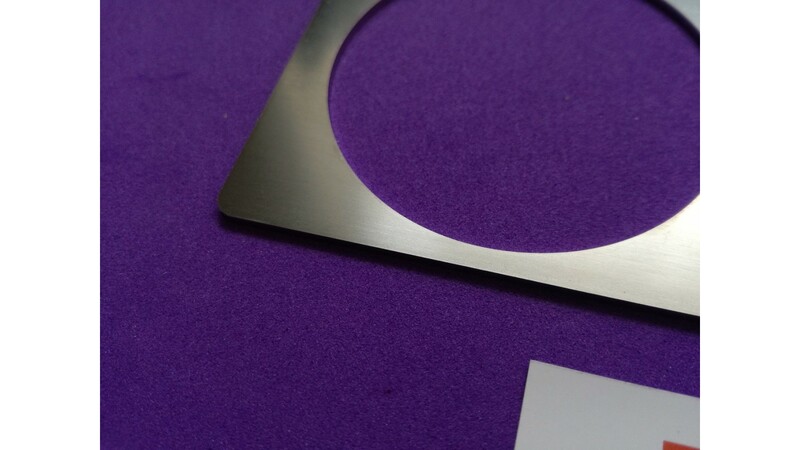 Stainless steel brushed surface, covered with protective film. - You will remove the film after installation! perfect precision made!!! 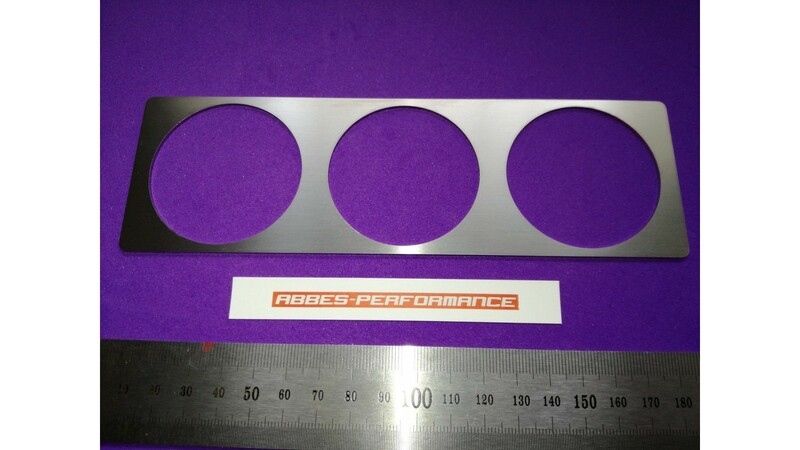 Not as some sell on E-bay with 53mm whole for gauges! 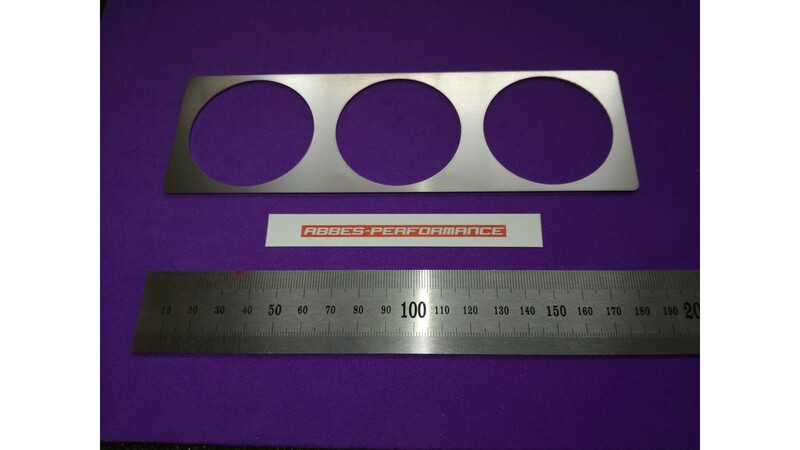 This holder has 52.3mm holes. 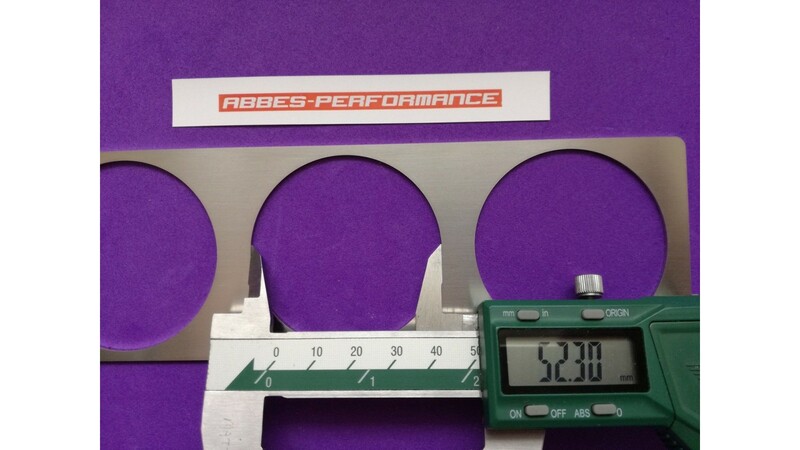 NOT 53mm!!! 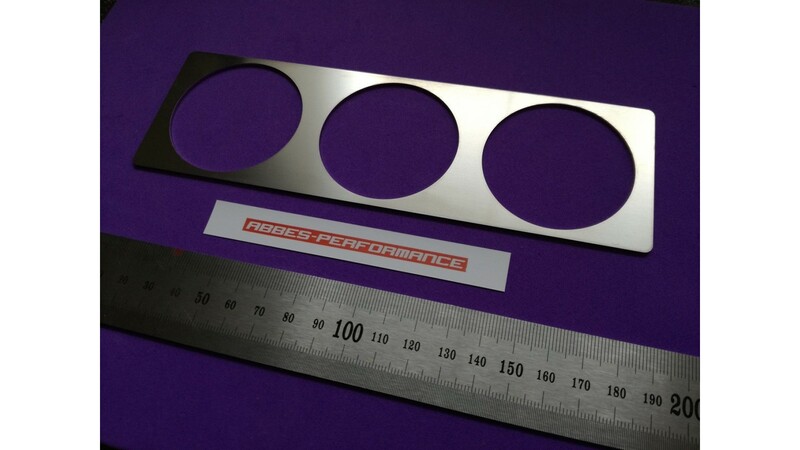 The gauge will perfect FIT and no free play as with 53mm in diameter holders!!! Will dispatch today from Europe by 1st class priority air mail! We ship worldwide to all countries. 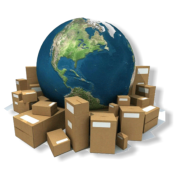 We ship by 1st class registered priority air mail-insurance included. We dispatch same or next businesses day after payment received. When the order will be with me? It generally take 3-5 days to United Kingdom. It generally take 4-7days to other European countries/depending on country. It generally take 7-14days to non European countries. In some cases (1-2 of 100) the package can have delay and delivery time is up to 14 days. We make the best quality products only. Quality material and technologies. Each product undergoes output control before dispatching, and well packed. 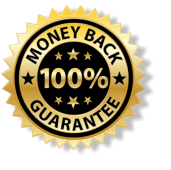 We are so sure of the quality of our products that we offer 100% of product price + 100% of shipping refund, if you decide to return unused product for whatever reason. You can return the product within 14 days after delivered. We will respond all of your questions and messages in the very short time. 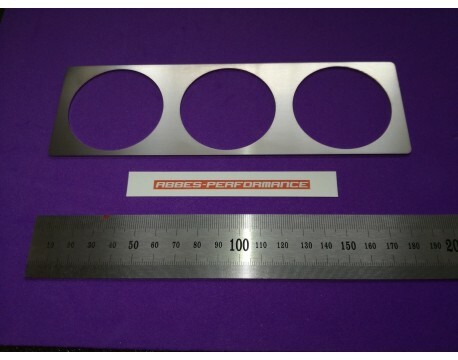 We can modify or make whole new product on the customer requirement. •We accept PayPal. All transactions are covered by Ebay Buyer Protection. •To pay by Credit/Debit Card you can use PayPal. No account sign-up required. Acceptable cards are MasterCard, Visa, Switch, Solo, Visa Debit (Delta), Visa Electron and Maestro. •We accept bank wire transfet too / contact us for details. Excellent quality & fast delivery. Many thanks. Fantastic, all the bits included. like driving a new car! Thanks! Great kit at a bargain price. Arrived in 3 days. Super seller!! Everythig is just right and quality is good. Also thanks for great feedback! thank you fast delivery coming so fare! A+ seller! Product came fast and well packaged! 6D carbon imitation surface Holder is from METAL not PLASTIC! 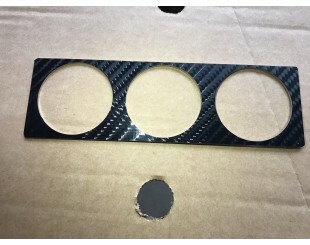 CNC laser cut +6D carbon- see description! Perfect precision made.